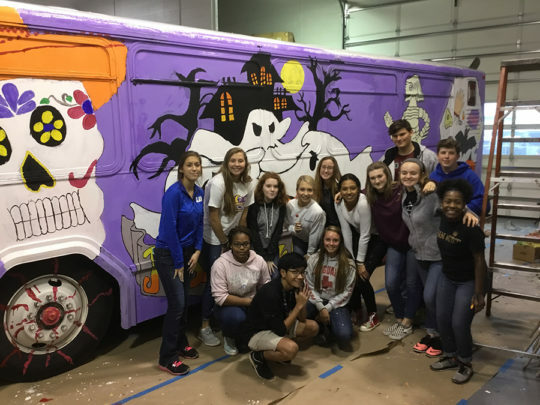 Mr. Neitzki’s Upper School art students were invited to continue the tradition of painting a Clarksville Transit System bus. 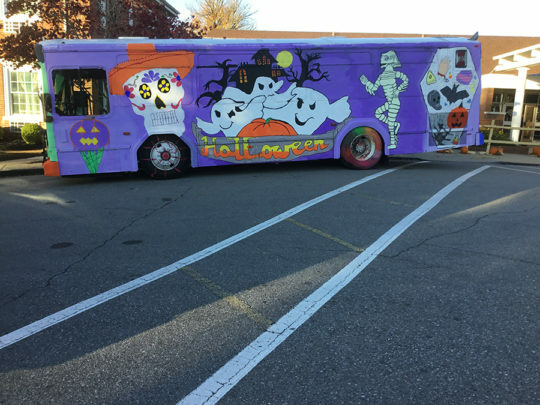 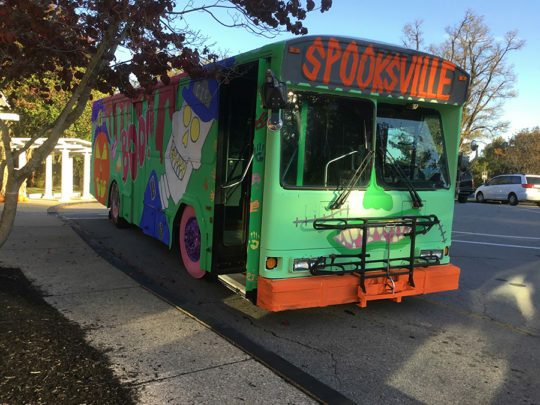 They students travelled to the city bus system to paint the Spooky Bus on Friday. 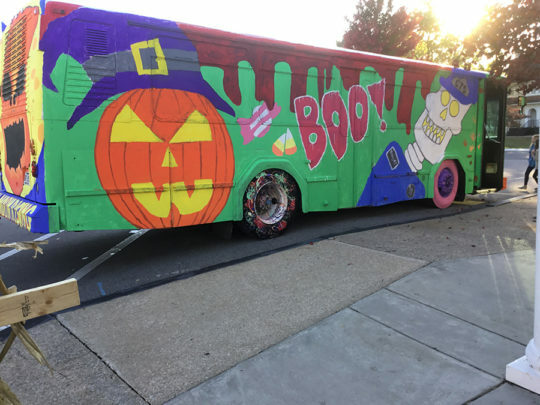 This was one of the best yet! 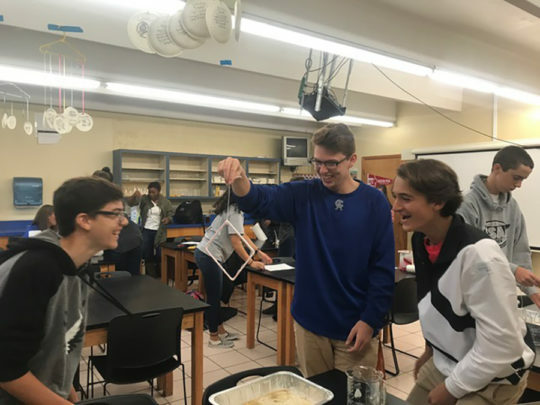 AP Biology conducted a lab called “Cell Membrane Bubble Lab”. 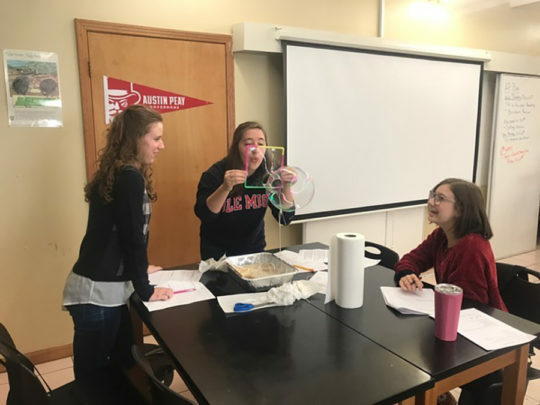 Bubbles make a great stand in for cell membranes due to being flexible, fluid, and able to self-repair. 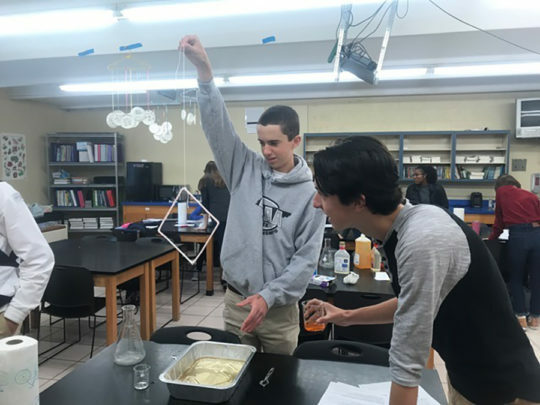 The students used the bubbles to demonstrate several properties and characteristics of the cell membrane. 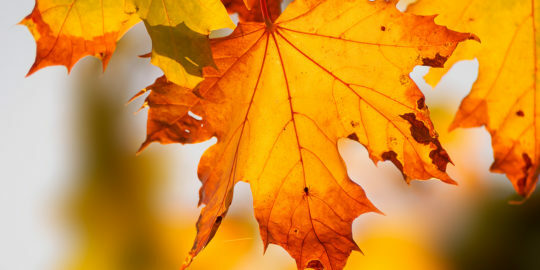 Jostens will be on campus Tuesday, October 31, 2017, from 11:45 A.M. until 1:20 P.M. taking class ring and jewelry orders as well as senior announcements, cap & gown, and memorabilia orders. 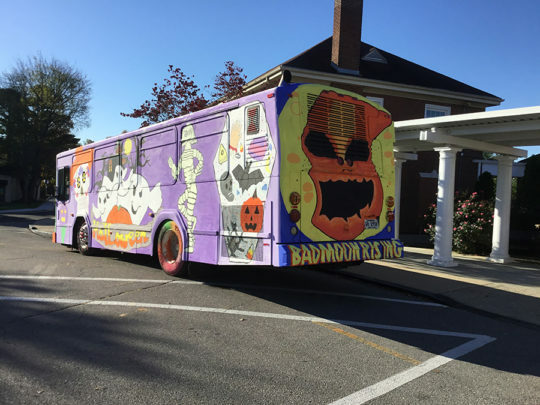 They will be set up in the library.